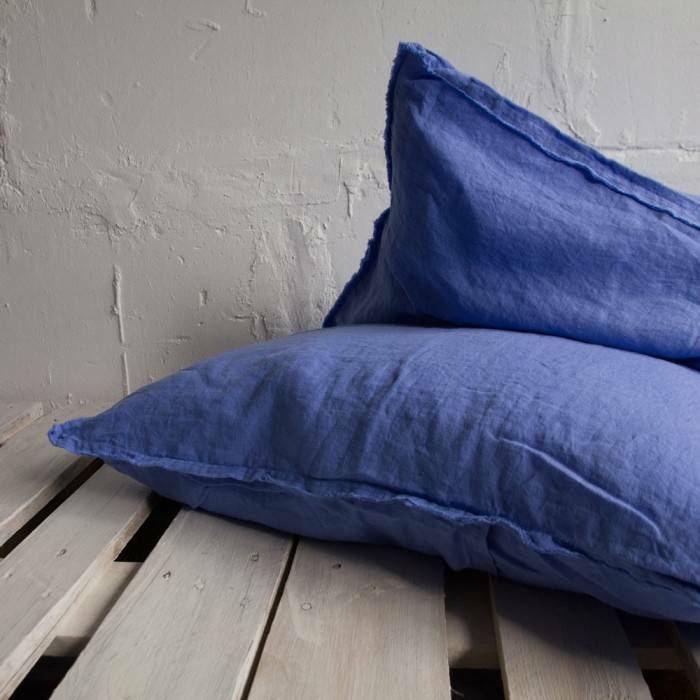 You will fall in love with these French blue non-treated linen pillowcases! Handmade of washed linen fabric – so wrinkled and rough but feel soft and gentle. This Len.Ok linen bedding collection is outstanding due to the unbelievable color – rich and serene light blue. Pillowcase in this set has the simple envelope closure.